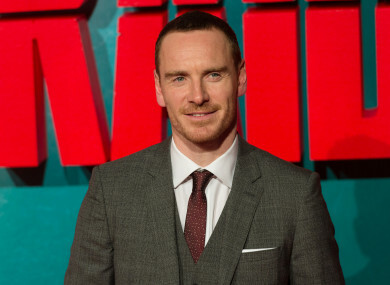 Michael Fassbender's DMC Film developed the project with Film4. QUESTIONS HAVE BEEN raised over the awarding of funding to a film that’s due to start shooting later this month before the fund’s website has even been completed. Calm With Horses starring Barry Keoghan is to begin filming in Clare and Galway after it was confirmed that the project has received support from the Western Region Audiovisual Producer’s Fund (Wrap Fund). The €2 million publicly-sourced fund was announced last October but details about how to apply have yet to be advertised and other producers have expressed surprise that an award has already been made. The Wrap Fund is administered jointly by the Western Development Commission (WDC) and the Galway Film Centre but full details of the fund have not yet been published. Despite this, it was confirmed last week that Calm With Horses was granted funding. Calm With Horses is co-produced by Element Pictures and Altitude Film Distribution and was developed in part by the Michael Fassbender-founded production company DMC Film and Film4. Element Pictures is the film and TV production house behind the Oscar-winning The Room and other successful films including The Lobster and The Killing of a Sacred Deer. The confirmation that Calm With Horses received financial support under the Wrap Fund came only weeks after a development manager, Sarah Dillon, was hired for the fund. A post on the Galway Film Centre’s website three weeks ago provided contact details for Dillon but noted that full policy and details of the Wrap Fund are due to be published in the coming weeks. The website has not since published those details but it has confirmed that Calm With Horses has secured funding. Asked by TheJournal.ie about the timing of the award, Wrap Fund development manager Dillon said that while details of the fund have not been publicised or its own website completed, it has been “open for business” since it was announced in October. She said that, before she took on the role, the WDC and the Galway Film Centre had been engaging with “a number of projects”. No other project has won funding aside from Calm With Horses. Dillon added that there were people at the WDC and the Galway Film Centre who were “primed to chat” about projects but one potential applicant who spoke to TheJournal.ie said that they were rebuffed when they contacted the Galway Film Centre about the fund. In an January email from the Galway Film Centre, the interested applicant was told that details about how to apply for the fund would not be announced until after the development manager was hired. Speaking to TheJournal.ie, they expressed concern that the Hollywood connections of the successful application may have influenced the decision to grant it funding. Dillon denied that the film was treated differently and said that it went through ”the same process that any other (application) will go through”. Chair of the Galway Film Centre Celine Curtin launched the Wrap Fund in October of last year and welcomed Dillon’s appointment in March. Attempts made to contact Curtin about the application process for the Wrap Fund were unreturned. Email “Michael Fassbender-backed film secures Irish funding before the fund's website even goes live”. Feedback on “Michael Fassbender-backed film secures Irish funding before the fund's website even goes live”.